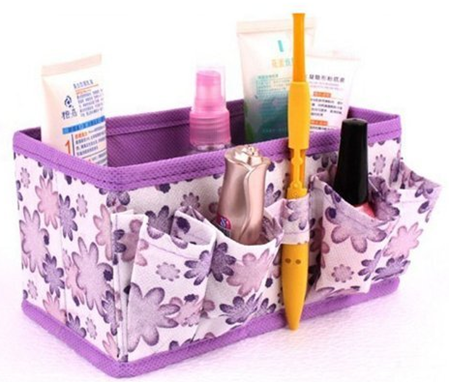 Cosmetic Organizer Just $1.72 PLUS FREE Shipping! You are here: Home / Great Deals / Amazon Deals / Cosmetic Organizer Just $1.72 PLUS FREE Shipping! Wow! If anyone needs this, I do! You can get this Cosmetic Organizer for just $1.72 PLUS FREE Shipping! My vanity is a disaster area! This is so cute and reminds me of spring, it will really come in handy! It would make a very nice addition to anyone’s vanity area!